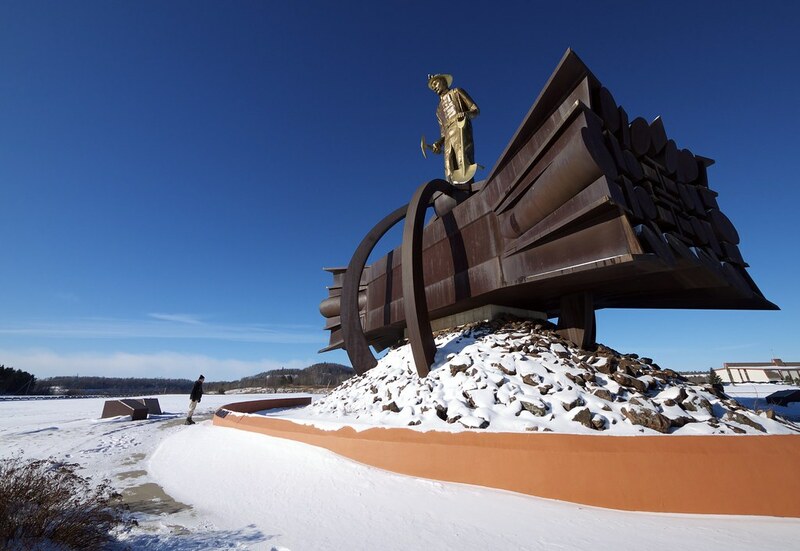 The Iron Man (Iron Ore Miner) Memorial is found next to U. S. Highway 169 near Chisholm, Minnesota. The idea for the memorial was originally conceived in 1947. It was raised as a tribute to the men and women who have worked in the iron ranges of Minnesota since the 1880's. The memorial was completed in 1987. The figure and base were designed by the sculptor Jack Anderson of Lake Linden, Michigan. Together they stand 85 feet high and weigh 150 tons.